For finding comprehensive information pertaining to that of Site scorer, a team of highly talented and creative people have designed its websitewww.sitescorer.com. By turning to its official website, you can explore how Site Score has helped hundreds of webmasters check the performance of their website. Its website has auditing report of various websites along with their scores. By visiting its official website you can also read the auditing report of various internet giants like Google, Facebook, Bing, Twitter among others. Its website has a SEO analysis tool where the performance of a website can be tested vis-à-vis its competitors as well. Site Scorer is the brain child of research outcome at Askoli, is an Islamabad, Pakistan based internet marketing company led by its founder Yousuf Hussain. Askoli has developed a number of software application solutions, including Site Scorer (Free SEO Analysis Tool) for Internet Marketers. Yousuf Hussain is the Chief Executive Officer at Askoli and has rich experience in Internet Business Models. Yousuf Hussain is a chartered member of TiE Islamabad Chapter and he has also been the selected as Fellow of Royal Society-of-Arts. Yousuf has a team of highly talented team of expert technocrats and SEO stalwarts like S. Z. Haider Naqvi (COO), RKarim Jamvi among (Business Manager) others. • Free SEO analysis tool, you can try your hands by just entering your domain and the keywords. • Comprehensive analysis of websites on SERP. Well, it’s up to you decide how Site Scorer meets to your expectations. It is only after you see the auditing report generated by Site Scorer that lets you to analyze whether the website performance is equal to the efforts put-in by you. Nobody can test the performance of a website on search engines until and unless the website is analyzed on various aspects of Search Engine Optimization (SEO). It carries out analysis as to which part of the content is vital for page ranking. 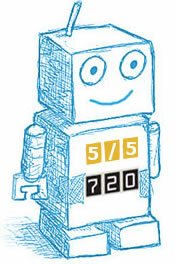 In its report, Site Scorer gets weight to every Meta tag of the content body. Further it gets more priority to the title tag besides analyzing H1 tags, Meta descriptions etc. it displays the top keywords which match with the optimization goals of a page. Site Scorers, in its report also gets the performance as well as the ranking of websites of your corporate rivals. It helps the webmasters evaluate where their website stands vis-à-vis competitor’s do. Weight of Keywords is affected by a number of factors. For instance, search engines take into account the keyword-percentage in title tags. Further, it also calculates the keywords percentage on each of the page of the website. Internal Links created at the web content pages play a vital role in domain ranking. Similarly external links tag the web page to other sites on web. Site Scorer analyzes the links which are vital for enhancing the rank of your website. Smart Viper is yet another fantastic feature of Site Scorer which measures how amenable your website is with search engines. When your site has more subsidiary tags, more Meta tags and both external as well as internal links (which are based on high quality), your website gets a higher score by SmartViper SEO score. Site Scorer critically analyzes all the factors vital for website ranking including SEO traffic (Quantity, geographical aspects and source etc.) besides concluding the cost of website. It pays special attention to not just the cost of current site but also to the dynamic resource of growth or decline as well. Among various cutting edge features Site Scorer is equipped, one is Heatmap. So, how does it help webmasters? It lets the webmasters know as to who does the web pages are read by the users. It tells you where your reader’s first eyes will be directed on the main page. This information is useful for increasing traffic to your website and increase profitability. It’s simple to get the score of your website on search engines like Google. As soon as the URL (domain name) is entered in the Site Scorer software, it analyzes the website for the most targeted or searched keywords which have been used by the user on Google. Besides this, it analyses the most viewed or read content, links clicked on and such other factors like Meta tags. After thorough analysis of these factors, Site Scorer prepares the Audio Report and provides score to the domain (or website). Site scorer offers monthly subscriptions but you can try its free versions too. To get comprehensive and in-depth auditing report for your website performance, you can subscribe to its paid packages available at $49, $99, $299, $749, $1499. You can choose the package as per your own budget. In $99 packages blog posts are also included. A few of the Site Scoring software companies are said to be competing with Site Scorer. Some companies which are said to be competing with Site scorer include Website Grader, Woo-Rank, Link Voodoo, Lipperhey, Piloun.com, Search24online and SEO Rush among others. Site Scorer with its in-depth analysis and accurate auditing report is the best keyword research tool which has many distinct advantages. Site Scorer presents audit report with all assumptions based on facts and figures while many people who have been using other SEO analysis tools complain of superficial and hastily prepared reports. What sets Site Scorer apart from the rest is its free SEO analysis tools so while other competitors can feel sad, you can enjoy free services from Site Scorer. Provided that Site scorer works on every aspect of the website for analyzing its ranking on search engines, you can expect the clear picture of your presence on web. The website is scored on the basis of actual observations and not on the assumptions. Therefore, Site Scorer has one stop solutions for all your site scoring rankings. If you wish to get the clear sense of as to what extent your website has been performing on various search engines by analyzing every effort that you put in your website ranking promotions, then Site Scorer will do it for you. Keeping in view the requirement of vital information for webmasters it will analyze links, keywords, backlinks, reciprocal links, content ranking, on-page and off page optimization, this software application is most recommend for the webmasters assessing their efforts. Before you assess the returns you get by investing in Site Scorer you should be aware of the importance of “Scoring a Website”. When your website ranks low, Site Scorers lets you know this “with valid reasons”, so that you can improve upon. When you get the accurate and reliable auditing report for your website performance it is the best return on investment as it goes a long way in assessing the efforts put in by you. Want to get Site Scorer at lower prices? 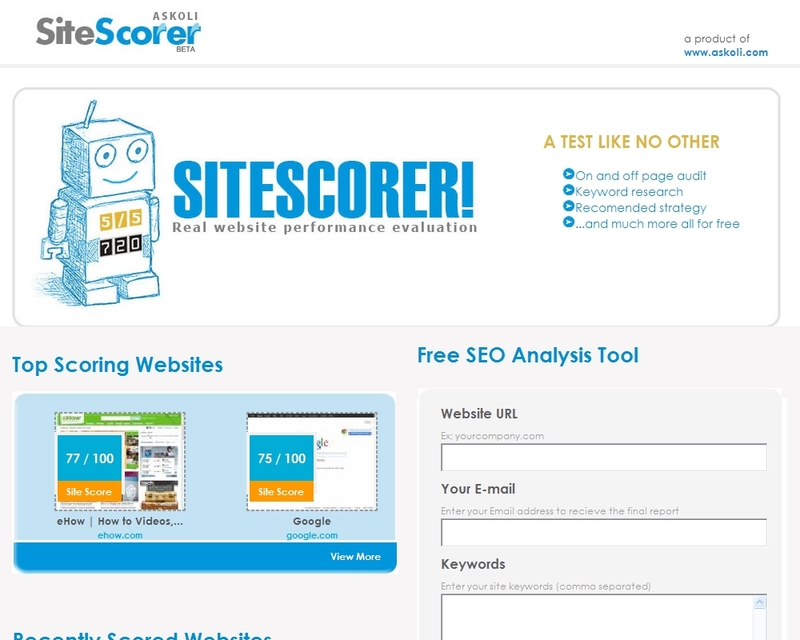 Well, Site Scorer Coupon Code 2012 gives you discounts up to 30%. There are many websites where Site Scorer coupons are listed for promotional purposes. When you subscribe to Site Scorer through their site you will receive excellent discounts ranging from 20% to 45%.